it will still taste better than store bought! Rye bread has always been a favorite we make around St. Patricks Day for making one of the most famous sandwich, thie Reuben. This is an easy rye bread perfect for your Corn beef delicious Reuben Sandwich or also great with Corn beef and cabbage dinner you may love to make, just to name a few of what this great bread can be an addition to. It really is an easy recipe and worth the time. If you don't want to make into a loaf, use the dough and make into small rolls. 5 1/2 cups all purpose flour. Mix the water with yeast to dissolve, add caraway seeds, salt and oil into a heavy duty mixer bowl using a dough hook ( you can also mix by hand and stir until dissolved), Add all dry ingredients to the bowl using the mixer and dough hook blend together for around 2 minutes. Cover the dough and let rise around 2 hours. You can use this now punch it down and rise again making into shapes and rising until double. Place on a parchment lined cake pan for rounds, or parchment lined cookie sheet and shape into loaves or what ever you like. Brush with egg white wash.
Bake in preheated oven @ 400 degree hot oven until brown on top around 40 minutes. Cool before slicing. Refrigerate for 2 weeks using when needed. Have to try this soon for a good Rueben sandwich! Thanks for the recipe! 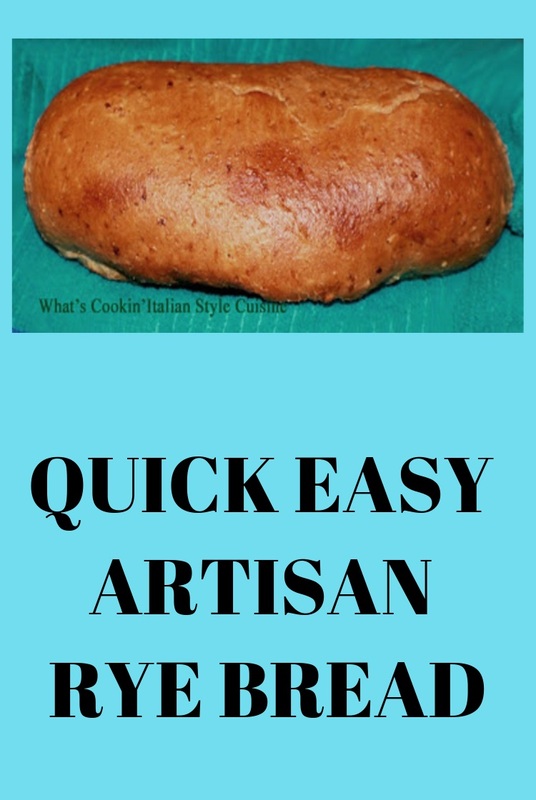 I love any bread recipe with the word "easy" in it! I bet this is great!